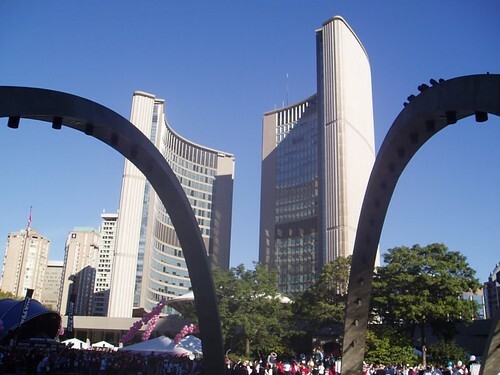 The Toronto area has the second-lowest crime rate of all large urban regions in Canada, behind Quebec City, according to figures released Wednesday by Statistics Canada. One of the great myths about Toronto is that it's a dangerous, crime-ridden place. Per capita, it doesn't get much safer. Greater Toronto had 5,020 criminal code offences in 2006 for every 100,000 people. Winnipeg, Vancouver and Edmonton recorded more than twice as many. Our history as a bastion of 19th century Victorian morality earned us the nickname Toronto the Good. I think it's still appropriate. That is a lovely photo. Hey I have something for you. Paste that link in ur browser. I took that photo during the Run for the Cure run I did a few years ago.